What's so special about ordering from Great American? What does free shipping really mean? What if I'm not quite sure what product is best for my need? Will I get a confirmation phone call or email after I place my order? Do I have a particular sale representative I have to ask for when I call? Will I get an invoice with the order? Is there a canceling fee? How many samples am I allowed to try? When my order is placed online, how long does it take to be processed? Does state sales tax apply to my order? 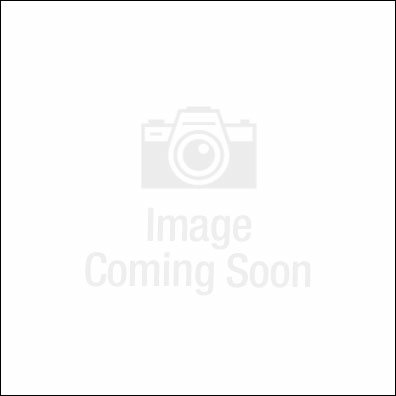 Can I use a purchase order for my order? Balloon Bouquet and Balloon Blossom Frequently Asked Questions. 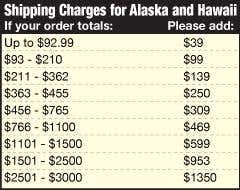 What are the shipping charges for Alaska and Hawaii? Because we work harder to AMAZE, ASTONISH, and ASTOUND our customers each and every day! Give us a try and let us show you! It means that 100% of the items we offer will be shipped to you absolutely FREE within the Contiguous US. We know how important it is for you to get the items you need, when you need them. Order by 4:30 CST Mon-Friday, and your order will be packed up and shipped out the same day. Plus the products essential to running your office such as forms and permits will be in your hands in 2 days! We stand behind our products, and are not satisfied until you are satisfied. We welcome your feedback on any product you purchase. Call us at 1-800-676-3979. If your product isn't exactly what you wanted, we'll pick it up--at no cost to you. We’ll make it right or it’s FREE. We stand behind all our products, and want to be the company you rely on day after day. We can help. Our expert Customer Service team is dedicated to understanding your business! Several members of our customer service team have been property managers for years, and are here to help you. We can talk you through the options available to you, and even send free samples! Call us at 1-800-676-3979. We'd love to talk to you! Yes! You will get an email confirmation the same day you place your order. It will list the items you’ve ordered as well as how to contact us if there is a problem. Our warehouse starts pulling your order as soon as the order is entered! In the event you need to change your order, please give us a call at 1-800-676-3979 and we can ship you out the right item or take care of whatever you need. Absolutely not! Great American Property Management Products will never sell your name or information to any company. No-all of our call center representatives are industry trained to find you the solutions you need. You can either set up an account with us or pay with any Visa, Mastercard, American Express, Discover, or Check by Phone. Yes, it will mail separately from your shipment if you are paying with your net 30 account. As many as your would like! All of our paper items are available for samples. All orders placed by 4:30pm CST Monday-Friday will be processed and shipped the SAME business day. Texas customers are required to pay 8.25% sales tax and will be charged on the order. Other states will not be charged upfront and need to follow the tax rules in their own state. For purchases delivering to CO, LA, RI, VT, WA, KY, OK, SD, or PA, see information regarding the tax you may owe directly to your state here www.gabpproperty.com/sales-tax-information . Yes, you can fill it in on the payment screen. Q: Do Reusable Vinyl Balloons really save money over traditional helium balloons? A: Absolutely! A 17" helium balloon now costs most areas over $1 to inflate after all costs and taxes are tallied up. Therefore, most of our products would be paid off in just 2-3 weeks! Q: How long do the Reusable Vinyl Balloons last? A: The Balloons will not pop unless punctured. However, over time some colors (like red) will fade a little. Normally you can expect 5-7 months before any fading is noticeable but this is dependent on exposure and intensity of the sun. They will stay shiny as long as the surface is relatively clean. Q: What do you fill the Balloons with? A: Just plain air. You may use our compressor, an air pumps or simply inflate by mouth. Because the Balloons are supported by a fiberglass rod NO HELIUM is required. DO NOT USE HELIUM as it is a very active gas and will escape thru the vinyl over time causing a saggy look. Q: What special tools do I need to install the pole kit? A: None. If you are installing the Bouquet pole kit use our Aluminum Ground Stake. The Blossom kit can be mounted with our fiberglass stake. You will need a common hammer to tap the stake into the ground. Q: How do I install the bracket, suction cup or pole kits? A: Please see our installation instructions. Q: Will the Poles rust? A: No. Our Reusable Vinyl Balloon Poles are manufactured from 6061 grade aluminum with an anodized finish. Q: Can the Reusable Vinyl Balloons withstand high winds? A: Yes. They were designed for wind. All of our attachments (Pole, Suction Cup and Brackets) have been tested under constant winds averaging 65 MPH or more. More wind means more action! Q: Can the balloons be reused? A: Yes. The vinyl balloons have a reusable valve and can repeatedly be inflated and deflated without any problems. Click here to shop our entire line of Reusable Vinyl Balloons! How much are the Shipping Charges to Alaska and Hawaii?